Our team of event specialists will help take your event from an idea to a reality. 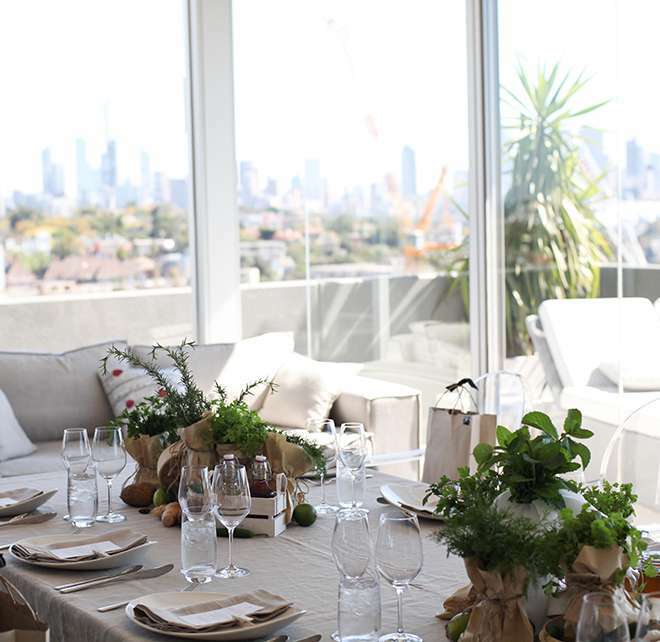 Hosting an event in Melbourne over a few days? Have your guests conveniently sleepover with us in order to be bright eyed and bushy tailed for the next day's activities. Spoonbill Restaurant offers your guests the freshest of fare for breakfast, lunch and dinner and all nibbles and drinks in-between. Our event spaces offer multiple flexible setups and abundant inspiration for your team. 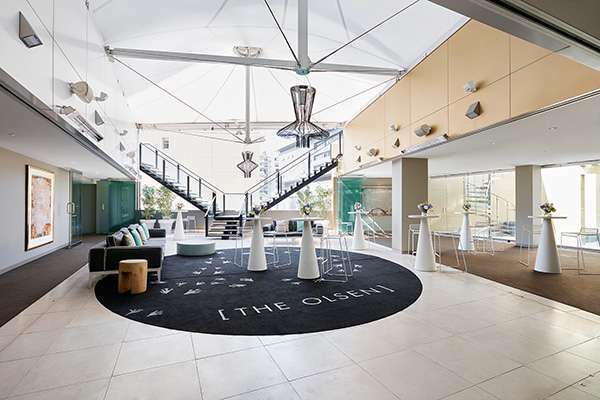 Featuring award-winning interior design, The Olsen is nestled at the north end of Melbourne’s iconic Chapel Street precinct. 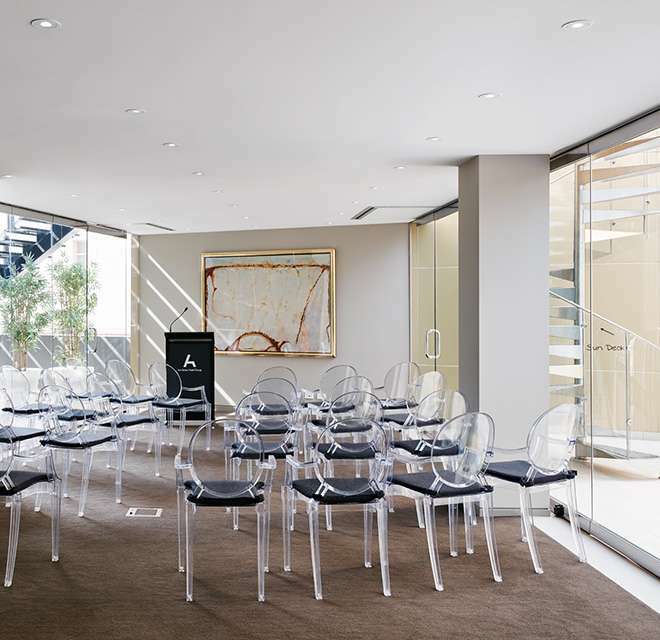 Our event spaces, Galleries I-IV, offer multiple flexible setup and abundant inspiration for your team. 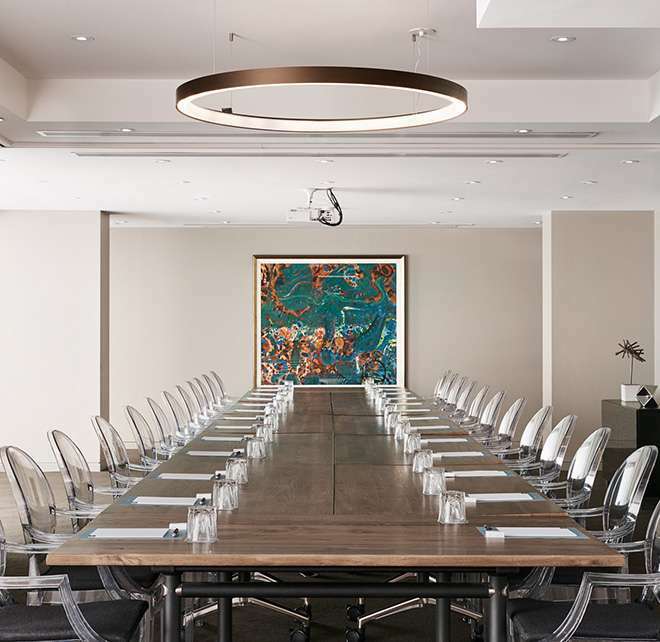 Ideal for all events in Melbourne, such as a day seminar or a week-long boutique residential conference, The Olsen's six unique meeting spaces provide the perfect backdrop. Take pleasure in spectacular sweeping Melbourne CBD skyline views, or soak your worries away in the eight seater balcony spa. This is an ideal venue to hire for private dining or cocktail events of up to 50 guests. 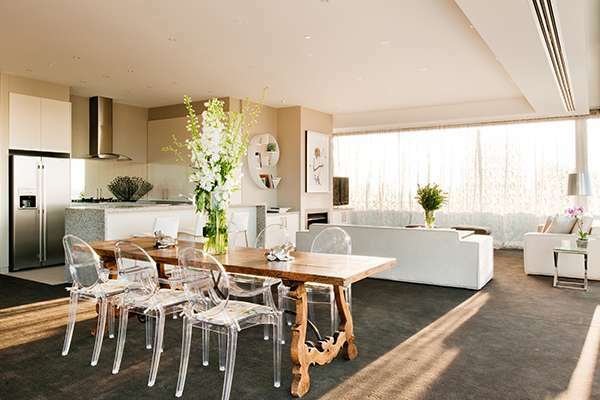 The Olsen Galleries I, II & III provide intimate and sophisticated executive function spaces right in the heart of cosmopolitan South Yarra. 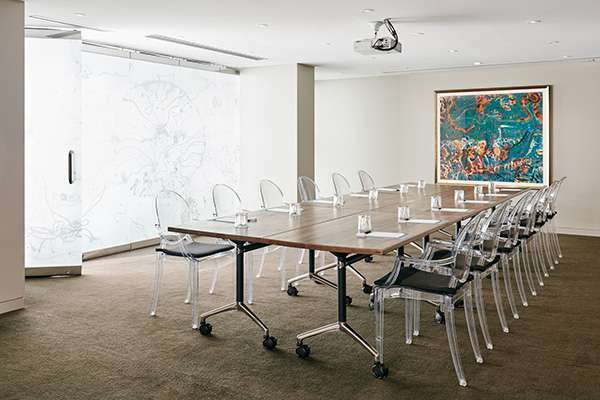 From boardroom to classroom they offer flexible event set ups, and a variety of catering options. These unique spaces can be hired individually for groups of up to 20, or transformed into one versatile 85 square meter function room. Each offers state-of-the-art technological solutions ideal for dynamic meetings and seminars. At 40 square meters, The Olsen’s Gallery IV is a unique space drenched in sunlight. 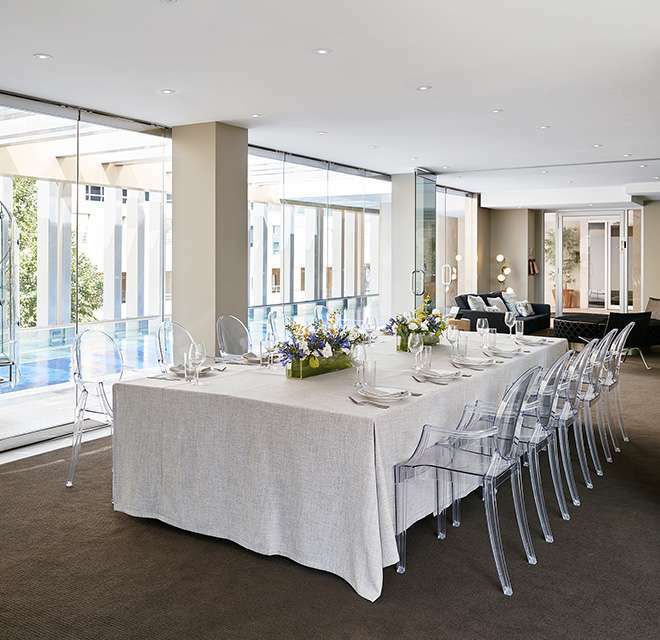 Featuring floor to ceiling glass walls and views across to the calming azure blues of our glass bottom pool, this distinctive space is ideal for all Melbourne events, like media calls, fashion launches, and blue sky brainstorming. 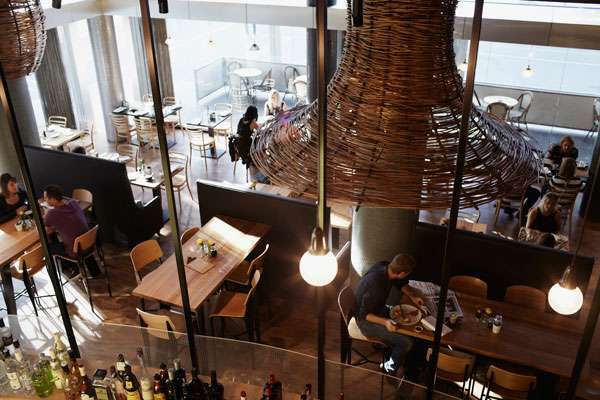 Our signature restaurant and bar, Spoonbill, highlights Victoria’s regional produce. Furnished with a combination of new and recycled furnishings, it is available for hire in part or as a whole. The private dining room seats up to 14.